Conjunctivitis is an inflammation or swelling of the conjunctiva, which is an outermost covering of the eye and the inner eyelids. Most common causes of conjunctivitis include infections and allergies. Conjunctivitis can be acute (of short duration), chronic (long-lasting) or recurring in nature. Conjunctivitis is probably the most common disorder of the eyes. Infectious conjunctivitis is either bacterial or viral in origin and spreads to the other eye when one eye is infected. It also spreads to people coming in contact with the affected person. Non-infectious conjunctivitis occurs due to pollen or some foreign body or pollutants or dust or household cleaners, smoke, entering the eye, underlying diseases like rheumatoid arthritis, cytomegalovirus, lupus, Kawasaki's disease, Ulcerative Colitis, Crohn's Disease. It does not spread. Herpes can also cause non-infectious conjunctivitis. Chemical conjunctivitis is caused due to burns and exposure to toxic chemicals. Allergic conjunctivitis is accompanied by irritation and discharge from the nose as well which is worse in dry weather and better in moist weather. Staying away from allergens is one way of preventing allergic conjunctivitis. Washing the eyes, face, and hands frequently during the day prevents infectious conjunctivitis. Staying away from crowded places and using personal towels and napkins and handkerchiefs prevents the disease from spreading to others. Decongestant and antihistaminic eye drops or cromoglycate eye drops are used in allergic conjunctivitis. Antibiotic eye drops are used for bacterial conjunctivitis. Warm compresses help in viral conjunctivitis. 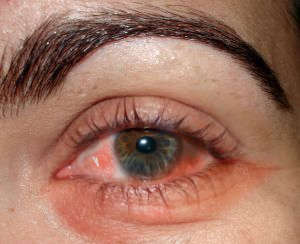 A wash out of the eyes with saline helps in chemical conjunctivitis. Homeopathy has a great scope in the treatment of conjunctivitis both the infectious and the non-infectious varieties by improving the immunity. Homeopathy is found to be more effective in chronic and recurring conjunctivitis such as Phlyctenular conjunctivitis, immunologically mediated conjunctivitis, etc. 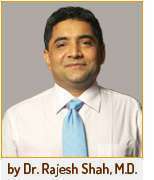 All forms of chronic and recurring conjunctivitis patients are strongly suggested to check the homeopathic option.